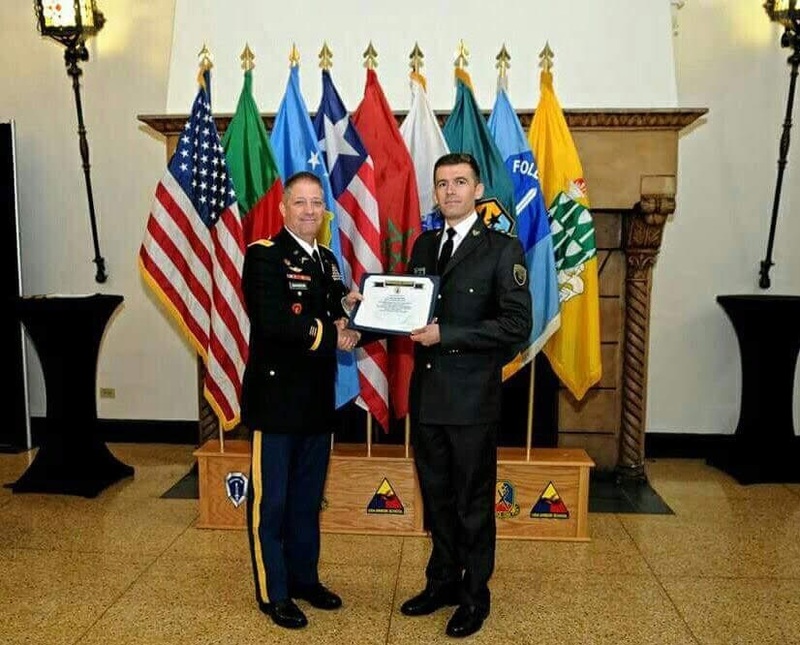 Kosovo Security Force (KSF) officer Mentor Ibrahimi, a member of the Second Rapid Battalion KSF Brigade Battalion, is proclaimed the best international officer on the "Career Captain" course in the United States. Captain Abraham from September 2016 until May 18, 2017, took part in the "Captain Career" course in the United States of America, Generation 17-1, and of all officers from different states, was declared the best. Captain Mentor Ibrahimi during his education at Career Course for Infantry Captain at Maneuver Center of Excellence at Fort Benning, USA, has shown tremendous performance in the fields such as: Military Decision Making Process, Terminology and Military Graphics and American Doctrine in general. Meanwhile, after the completion of the course, "Career Captain", Captain Mentor Ibrahimi was declared the best international student, and on this occasion the Major General Commander Eric Wesley, handed to him a book with military content " Words for Warriors" as a sign of gratitude for his extraordinary achievement.